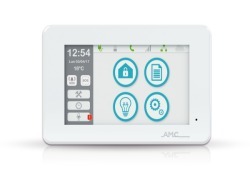 The panel can be controlled by new App AMC MANAGER (iOS/Android) with IP module and/or GPRS/3G module. The programming can be made with keypad and/or PC software. The programming with software can be made remotely with IP module and/or GPRS/3G module. Unika is the new AMC touchscreen keypad with 5-inches screen and ABS thin cover. 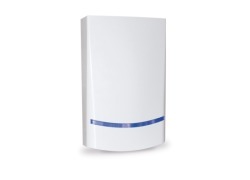 It is equipped with an intuitive graphical interface user friendly. With just few steps you can manage all the functions of the keypad. Large screen and cool design make the Unika keypad a UNIQUE product up to date. AMC Manager is the free new APP for managing the panels, available for Apple and Android.